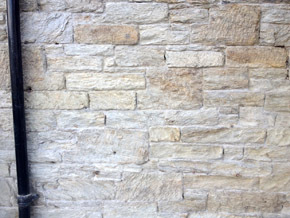 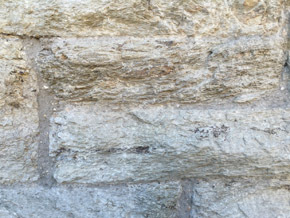 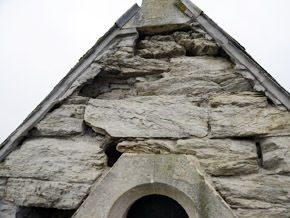 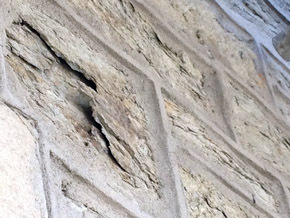 Due to the use of hard and impervious cement pointing and relatively soft meta-sedimentary sandstone, there was significant decay to the stone façade. 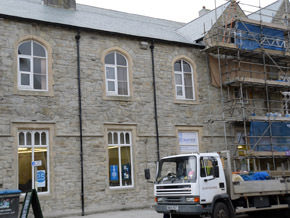 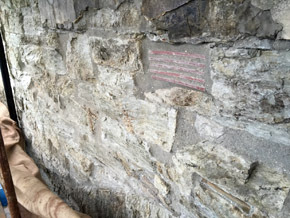 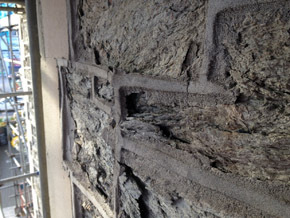 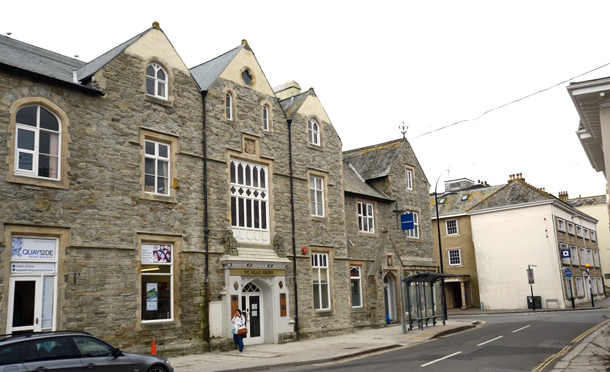 The remedial works involved removing the cement pointing which revealed the original bedding mortar, although very soft and friable, was filling many of the joints. 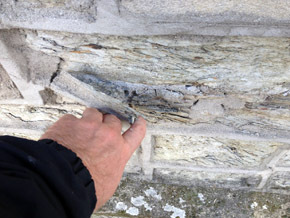 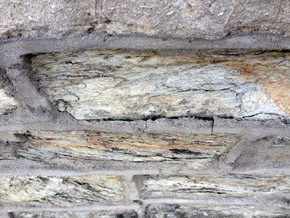 Consolidation of the original lime joints and surface of the stones was undertaken with minimal patch repairs and repointing. 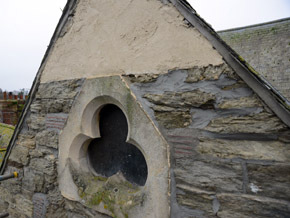 Due to the soft nature of the stones the repointing was undertaken in a putty lime with pozzolan added to give a feebly hydraulic set designed to closely match the original mortar.